For maintaining all the Apple devices properly this is the best accessory we can say. 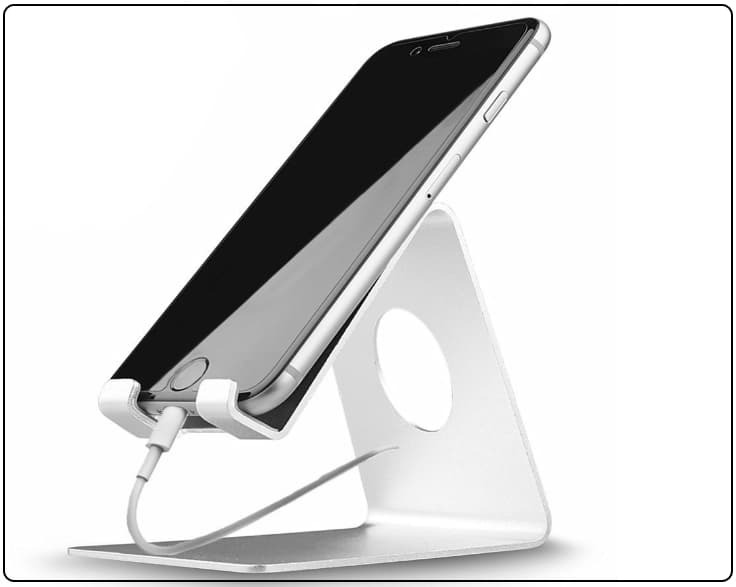 This is one type of stand for placing iPhone and other Apple mobile devices. 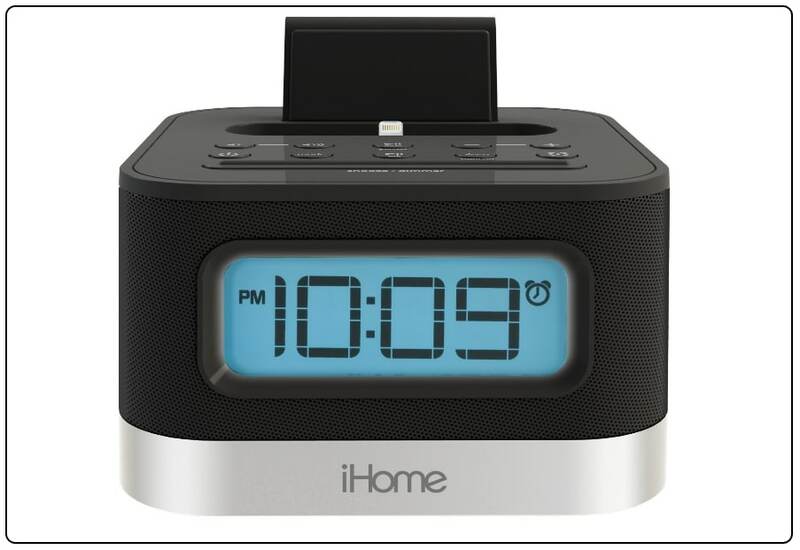 There are several different types of material are available for this docking stations. Not only selected model but Different design structure compartments are given as good options for placing your devices comfortably and safely. 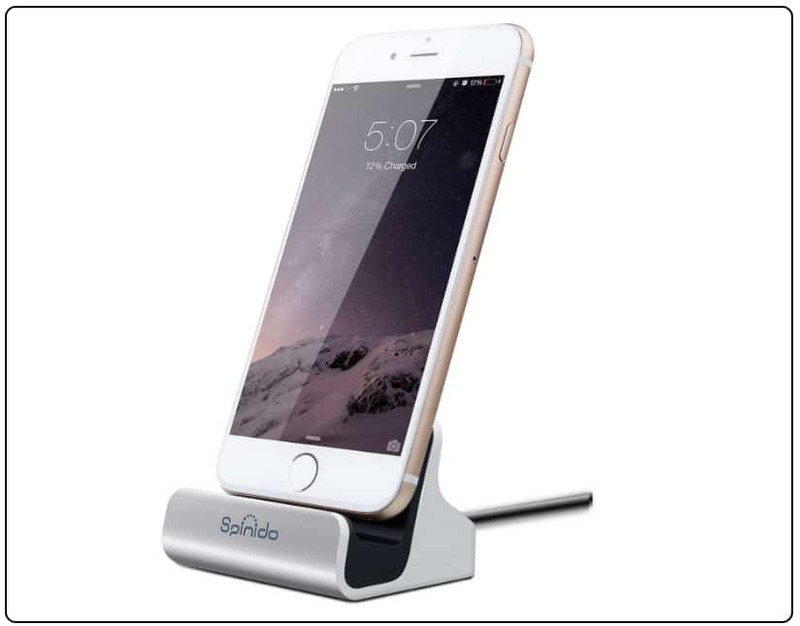 Keep this Best Docking Station for iPhone 7 Plus with you and stand smart device on your eye anywhere/ Anytime. It is a stand and also a charging station for all the devices. You can place iPad, iPhones, iWatch etc. You can charge all the devices simultaneously without any mismanagement. According to look wooden station are very simple and best in looks. You can also charge your iWatch on this station. It is the best solution for putting your devices safely. This docking station is made up with the Silver Shining Aluminum material. All time fresh and scratch resistance so that you don’t have to worry about it. As it is made up with the aluminum it is very shiny and having very gorgeous. This stand is compatible with iPhone 7 and iPhone 7 Plus. Also it is consistent with most of the smart phones so that your device gets better protection against any damage. After placing your device you can easily charge your device. At the bottom of this stand you will find a rubber pads so that it doesn’t get slips from the surface. Watch Movie, TV shows and Chat when on charging or stand. This docking station is made up with the wooden material. The color of this station is also professional wooden color. The look of this stand is very best and it is very attractive. It is easily compatible with iPhone 7 and iPhone 7 plus, also iWatch sizes 38mm and 42mm , iPad, Pan holder very comfortably. Built in stunning cable lightning cable management for all. This is the best way or place to keep your valuable device in safe manner. The price of this station is very low anyone can easily afford it. 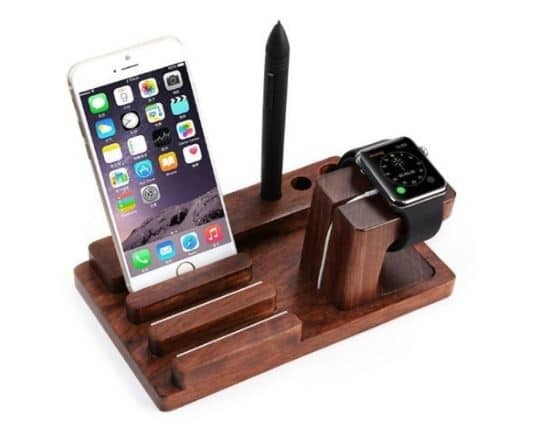 This is two in one stand for apple watches and also for iPhones. 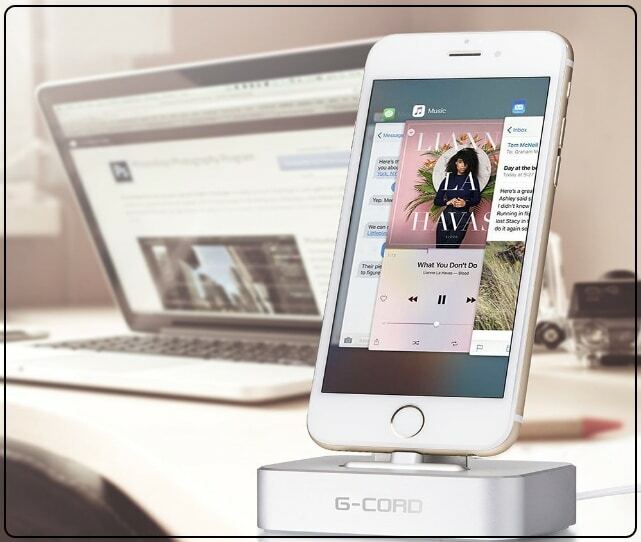 This docking station is compatible with majority of the smart phones and also iPhone 7, iPhone 7 plus. In this station two ports are inbuilt for charging purpose. There are so many advantages of using this stands because your device gets better protection in this and also you can hide wires. The best ABS material is used in the manufacturing of this station. 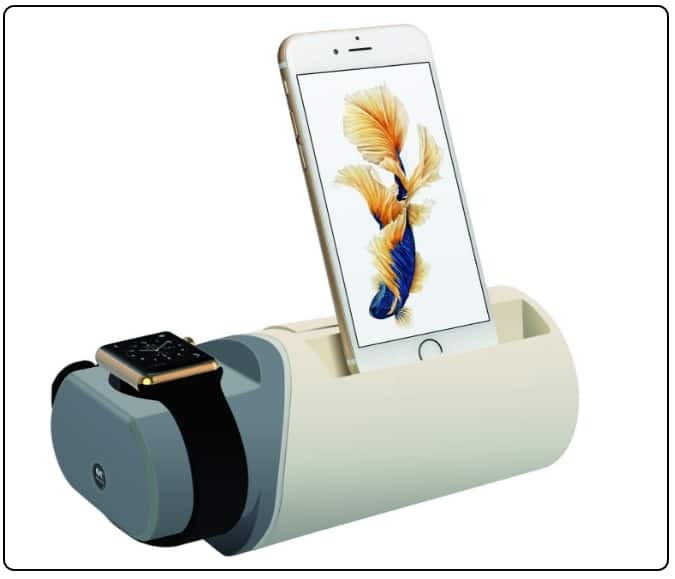 After placing this docking station at your table it looks very beautiful and gorgeous. This docking station is presented by Satechi brand. It is best because it is all in one stand for all the Apple devices. It is compatible with all the iPhones and iPads. There are total seven ports for charging and placing purpose are given for your devices. Both black and white colors are available for this station. For the management of cable Velcro strips are given so that there is no problem of any wire occurs. As there are total seven ports for charging three of them are of 2.4A and four of them are of 1A. you can charge your device without any power problem. 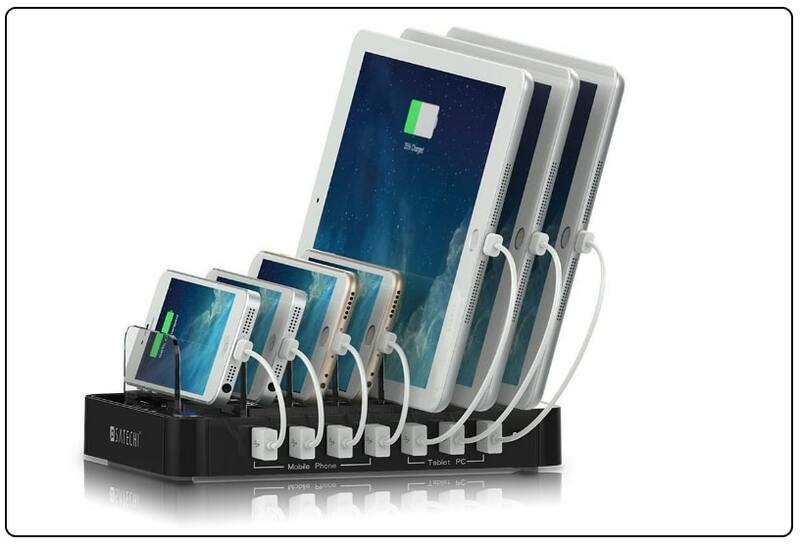 Multiport charging station is all apple family (iPad mini, iPad pro, iPhone 7, 7 Plus or other). The material used in this docking station is of leather type. 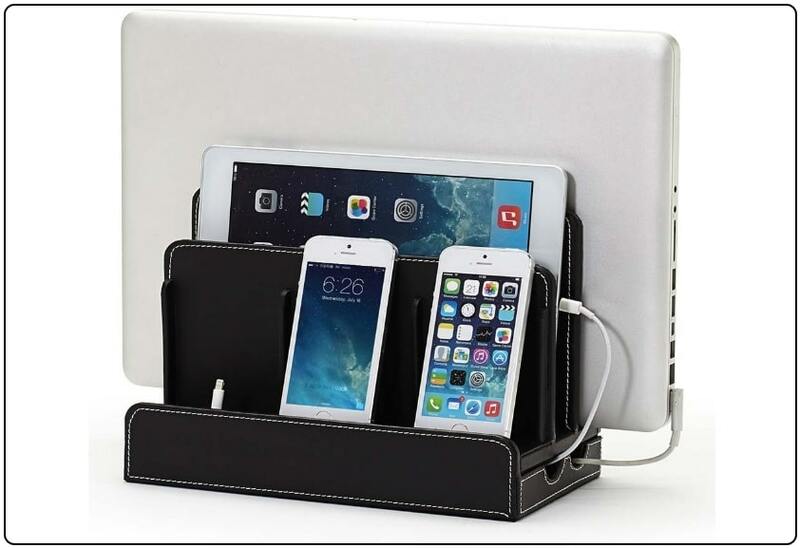 You can easily place iPhones, smart phones, laptops up to 15” and other devices. It is also compatible with the iPhone 7 and iPhone 7 plus models. It is very durable and strong because of this only it can bare this much weight of all the devices. You can charge the devices simultaneously and can put at safe place. You can place this station in your home and also in your offices because of its looks. This docking station is very different then other common stations. It is different because it contains clock and also it has only one place to keep your iPhone. It is compatible with the iPhone 7 and iPhone 7 plus devices. You can set music on this and enjoy the day with your favorite music (No worry about 3.5mm audio jack). It also contains 6 FM stations. If we talk about its sound quality it best so that you will not feel boring. It is the best device for protection of your iPhone as well as for you entertainment through music. 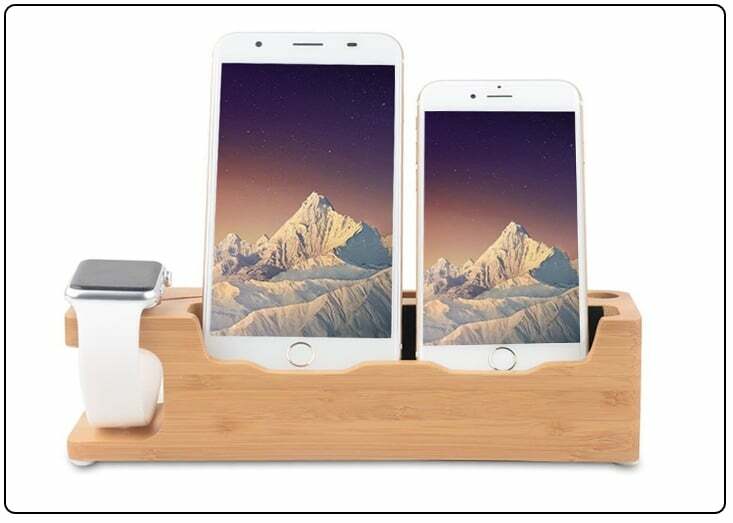 Unique choice compare to other Best Docking Station for iPhone 7 Plus. 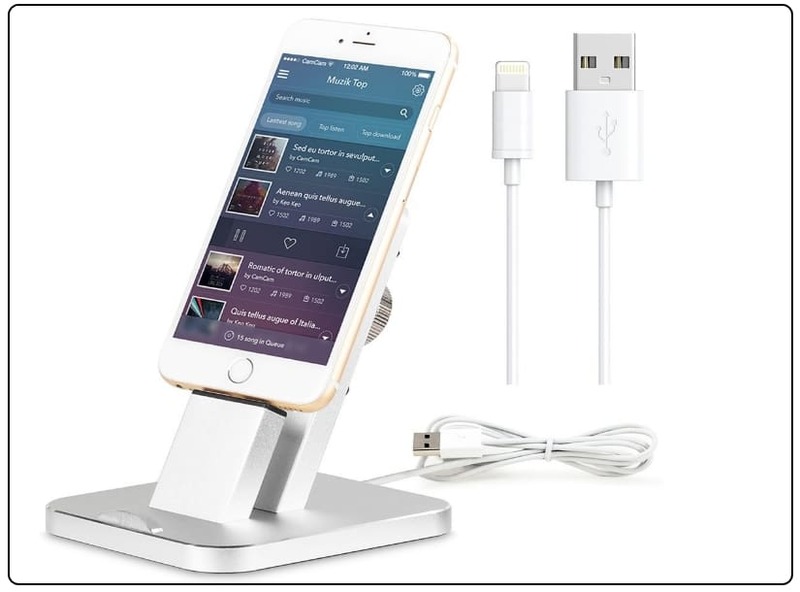 This docking station is compatible with the iPhone 7 and iPhone 7 plus and also other iPhone’s. The material used in the manufacturing of this station is TPU. It is made up with the CNC technology these all things made this stand perfect and durable. After placing your device on this stand you can easily listen songs, video calling and many other features. It also includes Apple MFi certified lightning cables for charging purpose of your iPhone. Therefore we can say it is specially made up for the safety and entertainment purpose. This stand is presented by Spinido Company. There are so many advantages of using this docking station because you can also sync your iPhone with iTunes library. You can also connect your PC with inbuilt USB cable. You can easily charge your device by using this docking station. The cables are given in this station are MFI certified. It only supports thin cases which should be of 2mm only. It is the best docking station for your iPhone. This docking station is compatible with the iPhone 7 and iPhone 7 plus. The color of this docking station is silver. It can sync and also charged your iPhone simultaneously. This docking station is compatible with the iPhone 7 and iPhone 7 plus. You can easily set your viewing angle on your iPhone so that you can work on your device without any problem. Best quality of aluminum is used in the manufacturing of this station. Non slippery pads are also installed on this stand so that you can place it comfortably. It is design in such a way that you can use this station anywhere like in office or home. It is made up with the Bamboo Wood material. This docking station is compatible with the iPhone 7 and iPhone 7 plus. You can also place your iWatch of both the sizes 38mm and 42mm. There is some extra space is also given for the putting your pen or card. It is the best place for putting your iWatch and iPhone at proper and safe place. Company is giving the warranty of 18 months with this product. It is also compatible with the other iPhones and devices. It is very helpful accessory for those who have different and several gadgets and for giving best protection to those devices so at least one you have. Especially list is perfect as a Best Docking Station for iPhone 7 Plus or iPhone 7.